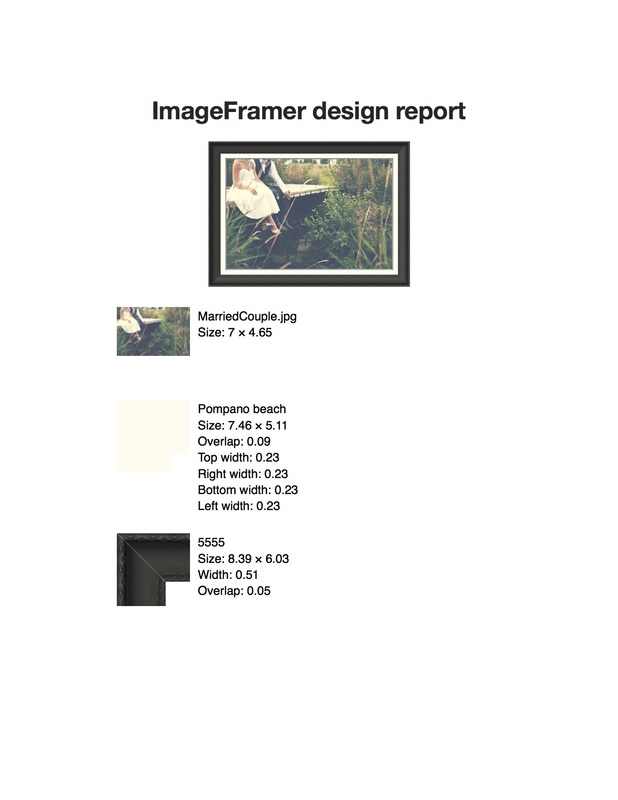 One of the great new features included in ImageFramer 3.3 is the ability to generate PDF reports called Design Reports, which are reports that show all of the specific sizes and style elements that you’ve added to your photo. 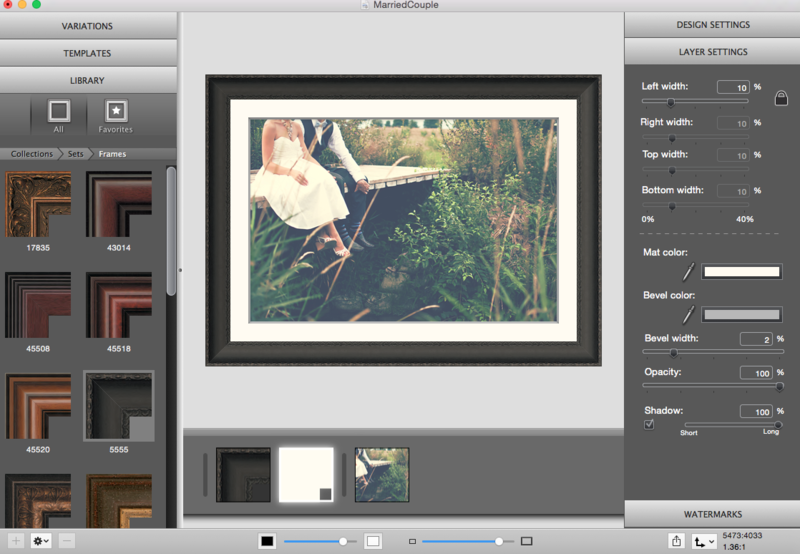 By allowing you to adjust the size of your photo to “real world” sizes (inches, centimetres, etc) you can generate reports unique to your project and reference the work you’ve done when you take your art to a print shop or framer, ensuring that you always get the results that you planned for. Let’s go through the steps to produce an ImageFramer Design Report! 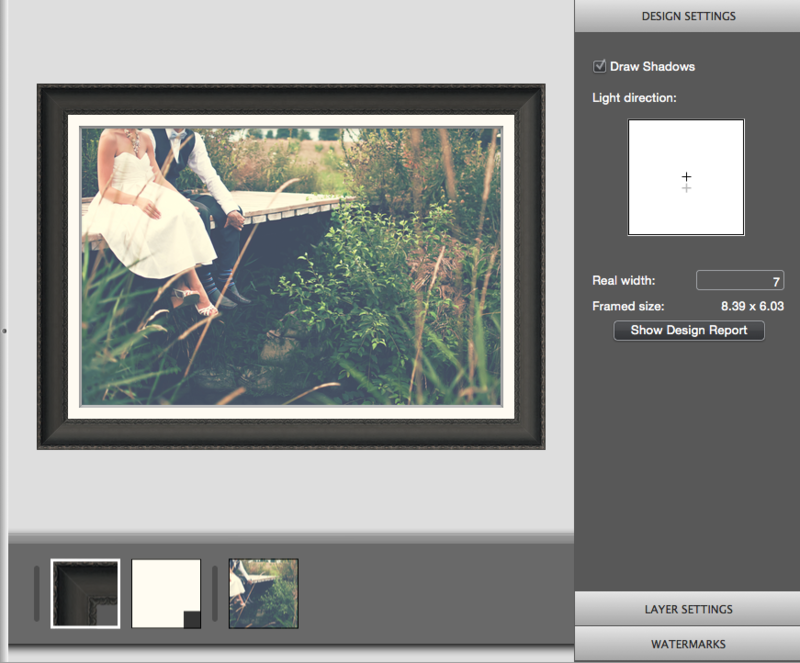 The first thing I did was drop a shot of a newly-married couple into ImageFramer. Another great new feature is that you can drag and drop an image directly from a website, so I used one from one of my favourite stock image sites, stocksnap.io to find a photo for this example and dragged it right into the app in my menu bar. The last step before generating the Design Report is to enter the image size. This setting is changed in the Design Settings panel, located on the right. This is what the Design Report looks like. It opens in Preview automatically and is print-ready! As you can see, it’s pretty straightforward and really easy to read. It tells me the photo file name and gives me what the “real world” size will be once it’s printed, as well as the details of the layers I’ve added in ImageFramer. By generating a Design Report you can print out the details of the style choices that you’ve made in ImageFramer in sizes that you can then take to a printer or a framing shop. Because you can adjust the image size to meet the specifications of your project the Design Report allows you to make sure that you get exactly what you planned for when getting your art framed for yourself, your loved ones, or your customers. We want to see how you use ImageFramer! Join our Facebook community and share your art with us!